two + nine = Required Please enter the correct value. Futures for the Dow Jones Industrial Average today (Tuesday) forecast a 133-point decline as falling oil prices and mixed earnings reports weigh on investor optimism. Oil prices remain under sharp pressure as traders hold out slim hope that Russia and OPEC may be able to strike a deal to reduce a massive crude supply glut. On Monday, the Dow Jones Industrial Average slipped 17 points after another round of weak Chinese economic data renewed concerns about a global cooldown. Meanwhile, oil prices continued to slide on rumors that OPEC may conduct an emergency meeting to address falling demand around the world. The Stock Market Today: On Tuesday, automotive stocks will be in focus when companies report monthly motor vehicle sales. Meanwhile, Kansas City Federal Reserve Bank President Esther George will give a speech on the U.S. economy. Oil Watch: Crude oil prices cratered again today on concerns about China's economy and fleeting expectations that OPEC will be able to strike a deal to prevent a global supply glut. WTI crude oil fell 3.2% to hit $30.60 per barrel. Meanwhile, Brent crude fell 4.4% to hit $32.71 per barrel. Prices continued to slide after analysts at Goldman Sachs Group Inc. (NYSE: GS) said that a deal between Russia and OPEC to curb production was highly unlikely. Russia's output jumped over the last month from 10.83 million barrels per day in December to 10.88 million barrels per day in January. Earnings Report No. 1, KORS: Shares of Michael Kors Holdings Ltd. (NYSE: KORS) jumped more than 14% after the retailer reported stronger than expected earnings per share (EPS). The firm reported an EPS of $1.59 on top of $1.342 billion in revenue. Wall Street analysts projected $1.46 on $1.35 billion in revenue. Earnings Report No. 2, PFE: Shares of Pfizer Inc. (NYSE: PFE) dipped 1.8% in pre-market hours after the company beat Q4 2015 expectations. But the company lowered forward guidance. Pfizer is in the process of purchasing Botox-maker Allergan Plc. (NYSE: AGN) for $160 billion. It lowered its forecast due to rising competition from generic drugs and a strong U.S. dollar, which is cutting into its international profits. Earnings Report No. 3, XOM: Shares of Exxon Mobil Corp. (NYSE: XOM) slipped nearly 2% after the company reported Q4 2015 earnings this morning. 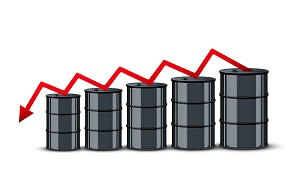 The multinational oil company reported adjusted EPS of $0.67 on top of $59.807 billion in revenue. That EPS figure was below Estimize's estimate of $0.70. Overall, the firm reported a 58% decline in quarterly profits as it continues to suffer due to falling oil prices. Additional companies reporting quarterly earnings include Gilead Sciences Inc. (Nasdaq: GILD), Yahoo! Inc. (Nasdaq: YHOO), and Chipotle Mexican Grill Inc. (NYSE: CMG). Stocks to Watch No. 1, STR: Shares of Syngenta AG (NYSE: SYT) are in focus this morning on news that China's state-owned ChemChina is close to purchasing the pesticide giant for roughly $42 billion. Stocks to Watch No. 2, YHOO: Shares of Yahoo! Inc. (Nasdaq: YHOO) are in focus today as the company plans to report earnings after the bell. The technology company is expected to announce weak earnings and weak guidance for Q1 2016. CEO Marissa Mayer is expected to outline her strategic options in the near future, which could include a spin-off of its core Internet business or an outright sale of the company. The firm has been under pressure from activists to boost shareholder value. Stocks to Watch No. 3, GOOGL: Shares of Alphabet Inc. (Nasdaq: GOOGL) surged more than 5% after the bell on Monday after the technology giant crushed earnings expectations. The firm beat Wall Street analyst EPS expectations by $0.57. The post-market rally now makes Alphabet the world's most valuable company, as it surpassed Apple Inc. (Nasdaq: AAPL). 52-Week Bill Auction at 11:30 a.m.
Esther George speaks at 1 p.m.